Sourcing and procurement don't always go as planned. Strategies that don't take risk into account may be quicker and easier to assemble, but the potential for these outlines to break down when a single source has problems can cause severe headaches for organizations at all levels of the supply chain. Risk is one constant in today's complex supplier networks, which can span the globe. Staying aware of the various dangers facing organizations is not a one-time event. Rather, risk management is an ongoing process. Today's top supply chains realize this and work to incorporate an awareness of potential problems into all levels of their strategic thinking. Spend Matters recently tackled what it really means to run a risk-aware procurement department in 2017. Instead of simply creating processes that are buttressed against risk, businesses are anticipating and reacting to specific issues. The difference is that a company resilient in the classic buffering sense may reduce the damage that an unexpected event causes, whereas forward-thinking and reactive companies could actually improve their relative market positions in such circumstances.
" Risk awareness should become part of a strategic sourcing approach." Risk can turn into real disruption fairly often, and organizations that anticipate and deal with the damage more effectively than their peers stand to gain strength. The organization that survives the crisis in the best shape will gain ground against its competitors. 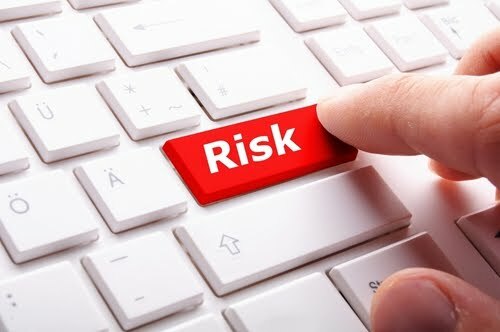 Risk awareness should become part of a strategic sourcing approach, spearheaded and actively managed by leaders in the procurement department. Dealing with sourcing on a strategic level means looking for new ways to derive value from procurement. Going for the lowest possible prices or carrying out orders from other departments exactly won't help the bottom line this way. Leaders who are in charge of truly strategic procurement departments can find additional power in their ability to work risk into their equations, treating this as yet another possible path to value. What do future risks look like? Being proactive means responding to the disruption dangers that exist in the present moment. These have changed over the past few years, and are set to shift again before long. Forbes contributor Kevin O'Marah gave an overview of the issues impacting companies today. Supply chain leaders named their worries, and O'Marah noted the issues that have increased the most between 2016 and 2017: Natural disaster concern rose year over year, but the major worry is about digital disruption. Supply chain efforts have become more technologically advanced as companies have stretched around the globe in search of partners to meet their procurement needs. The digital revolution has granted agility and effectiveness in processes such as communications, but comes with its fair share of risks. Departments that haven't paid enough attention to cyber defenses may find that the new systems they've recently added have become a path to disruption. Dealing with evolving threats to the supply chain is a necessary part of risk-aware leadership. Expecting issues to remain constant ignores the malleable nature of the procurement industry and could lead to increased danger. Complacent reactions to risk factors from weather patterns to new malware styles could pay for such attitudes in the years to come. Are you Letting Telecom Spend Go Unreviewed? Source One is Coming to Procurecon Pharma 2017!